All staff at West Suffolk College and its Local Learning centres are entitled to use the Library facilities using their college ID badge. Your WSC network login is needed when renewing or reserving books online via the Library catalogue. Access to UCS resources and services via My UCS. Please ask in the Library for help searching for and using these resources. Entitlement to apply for a University of East Anglia (UEA) campus card via the West Suffolk College Library staff. Staff may then visit the UEA library and borrow material directly from them. A self-service machine is available, and allows you to quickly borrow, return, renew and pay fines. Links to other UK Library catalogues. This can be useful for identifying material which we can borrow for you using the inter-library loan system. 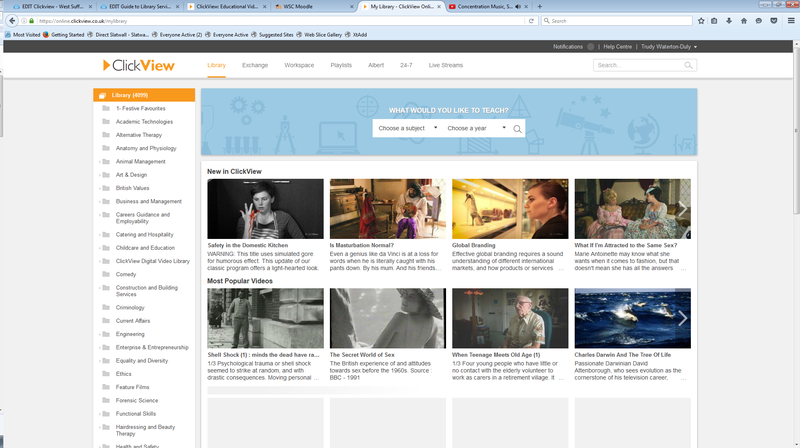 ClickView is a video streaming service that WSC library subscribes to. It means that staff and students can watch educational videos, documentaries and tv programmes that have already been broadcast. If you click on the logo you will be redirected to a sign in page (see below), where you will need to login with your WSC username and password. 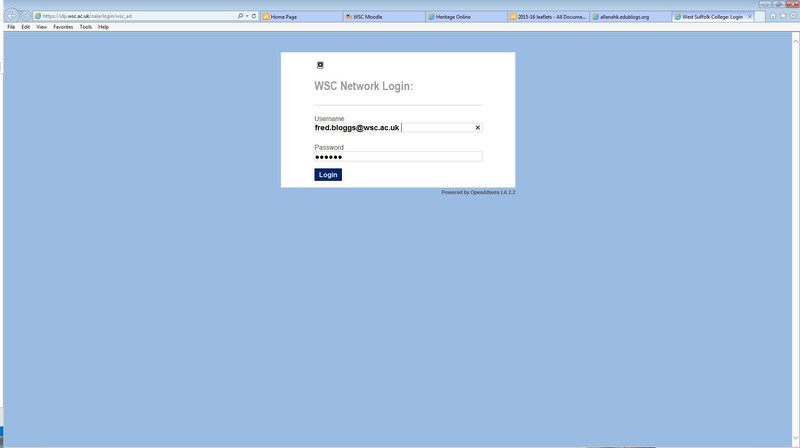 Once you have logged in you will be taken to the ClickView homepage which gives you access to the WSC ClickView Library. On the left hand side is a menu of subjects in which you will find related programmes. You can also search in the search box. There is also an App you can download on your device for Android or IOS. Should you need any help then please ask a member of library staff who will be happy to help you. Please see the Information Literacy Framework for more information.